Using Excel provides users with many ways to store information. When it comes to information, one of the most common things you can use Excel for is a calendar. 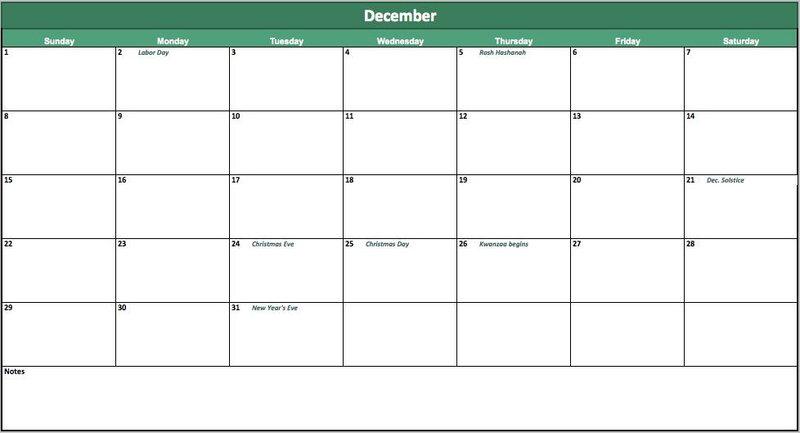 By using an Excel template for a calendar you will have an easy way to keep track of time in a more organized manner. This program will allow you to record time such as months, days and weeks. Using a calendar template on Excel will give you a great way to get the most out of your data storage when it comes time to oversee significant dates during the year. 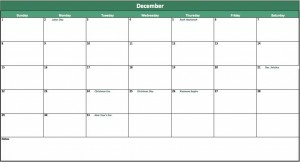 In the first part of the Excel calendar template, you will have months. This is simply recording and putting together a template that has the month and then all of the days that appear in the year’s sequence. With the months template you will have the means to have a broad and overall perspective of the days and weeks that take place. You will also have the means to keep track of holidays and any important events that may take place during this time. Using the Excel template to record months is one of the first things you should do when looking to have an Excel template. The next part of the Excel calendar template is days and weeks. This is the part of the calendar that shows the days and weeks of each month. On this template there will be boxes and have a number ranging from 1 to 31. Each box represents the day of each week month. By using this part of the template you will be able to keep track of each date during the month and have a more detailed set of information to go over.